Virginia Gentleman: You represent the 35 Legislative district, where is the district? Delegate Keam: The 35th House District is entirely within Fairfax County, and includes over 80,000 diverse residents living in parts of (from west to east) Fair Oaks, Oakton, Vienna, Dunn Loring, Tysons and McLean. The district captures an interesting mix of old and new: it includes Civil War battlefields and landmarks and historic buildings in the Town of Vienna as well as the ultra modern Tysons Corner mall and skyscraper headquarters of several Fortune 500s. It also includes two Metro stations and three golf courses. Virginia Gentleman: You are the Co-Chairman of the Legislative Tourism Caucus. Describe the mission of the caucus. Delegate Mark Keam: I first joined the Legislative Tourism Caucus in 2010 when I a freshman Delegate. Earlier this year, in my second term, I was honored to be selected as one of four co-chairs to lead this group. The other co-chairs are Delegate Chris Peace, Senator Mark Herring and Senator Bill Stanley, to balance out the two chambers and the political parties. Each year when the General Assembly is in session, the Caucus meets a couple of times in Richmond to brief our members on the state of tourism industry and trends we should be aware of. We also discuss various bills and budget amendments that impact the tourism industries. The meetings are open to the public and we have outside speakers as well as executive branch officials present various topics of interest to stakeholders. On October 24-25, 2012, some members of the Caucus will participate in the “VA-1 Tourism Summit” hosted by the Virginia Tourism Corporation, the Virginia Hospitality and Travel Association and the Virginia Association of Convention and Visitors Bureau. This annual gathering allows industry professionals to network and to learn more about their business opportunities through seminars and presenters. During the lunch program on Wednesday, October 24, members of the General Assembly will speak on a panel about working together to build stronger advocacy for tourism in the government. Our discussion will follow the premiere of the Steven Spielberg’s “Lincoln” film trailer and a presentation of the Sterling Heart Award which recognizes an industry partner who has made a significant difference in the Virginia tourism by blazing new trails. The theme for this year’s VA-1 Tourism Summit is “LOVEworks.” The conference will be held at the Richmond Marriott, and everyone is welcome. Here’s how. Virginia Gentleman: My understanding is that in 1969 the Commonwealth introduced the slogan, “Virginia is for lovers.” I like the slogan, and I understand the meaning. In Virginia there is a lot to love. However, over the years I have heard many others say they don’t much care for the slogan. What do you think of it? And is there any way the Tourism Caucus would decide to choose another slogan? Delegate Mark Keam: That’s right. The slogan was created in 1969 by an advertising expert in Richmond, David Martin, who convinced the state to adopt what is now the longest-running state tourism slogan in the country. It was even awarded a coveted place in the Madison Avenue Advertising Walk of Fame in New York City on its 40th anniversary in 2009. At its core, “Virginia is for Lovers” represents a love of life and a passion for travel. In 1969, the idea was that whatever people love most in a vacation, whatever they are most passionate about, Virginia was the ideal destination. Today, the slogan is amplified by the Commonwealth’s “Live Passionately” marketing campaign, which was created by the Virginia Tourism Corporation to make Virginia more relevant for today’s travelers. Live Passionately strengthens the connection between the slogan and Virginia’s appeal a rewarding and enriching destination where travelers live out their passions for history, heritage, music, wine and all the things that make life meaningful. Given the enduring popularity of Virginia is for Lovers, I don’t think that anyone will try to change or replace it anytime soon. The Legislative Tourism Caucus certainly will not do so! Virginia Gentleman: When I was a kid, every summer, my parents would take us to Virginia Beach for a week. We would pile into the family Pinto drive down from Fairfax and stay at the old Cavalier hotel. Do you have a favorite Virginia vacation memory? 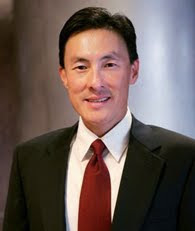 Delegate Mark Keam: Unfortunately, I don’t have any memories of Virginia as a child because I was not fortunate enough to have been born or raised in the Commonwealth. Like many Northern Virginians, I moved here as an adult, so Virginia is my adopted home state. Because of my father’s work as a Christian missionary, our family traveled a lot when I was a kid. Growing up in undeveloped Asian countries, we did not have many opportunities to enjoy vacations, although I do remember going to the beach a lot. Because I lived close to the ocean in all the places I grew up, my favorite vacation spots continue to be anywhere with sun, sand and surf. I’m most happy whenever I see palm trees! Now that I’ve become a parent, my wife and I take our kids everywhere in Virginia so they can grow up with good memories of Virginia that neither of us have. In addition to Virginia Beach, our family loves Williamsburg because of the historic sites and the proximity to amusement and water parks. We spend several weekends there each year. We also love the activities in the mountains – skiing in the winters and zip-lining and hiking in the summers. We also learned to ride horses thanks to the Virginia Horse Council and their annual Legislative Trail Ride weekends. Virginia has so many places to visit that we don’t think we will ever run out of great memories!